Once you’ve made a great business plan, created your company, and gotten any training you might need, you’re ready to officially register your brokerage and get your Motor Carrier (MC) Operating Authority from the Federal Motor Carrier Safety Administration (FMCSA). This whole process takes a few steps and will take several weeks from start to finish. So, make sure you get started as soon as you can. To begin the process of obtaining your MC Authority online, you must first obtain a PIN from the FMCSA. This requires a valid credit card, though no charges will be made. The PIN will be securely shipped to your business’s address in 4-7 business days. Once you have your PIN, you’re finally ready to submit an online OP-1 application for your MC Authority. Begin by selecting the first option, “New or Additional Registration,” and continue from there filling out all the relevant information. The filing fee is $300 and is not refunded if you’ve made a mistake and need to refile. Therefore, be sure all of the information is correct before submitting! If you want multiple licenses (say, to be a broker and a carrier), then you’ll have to file for them separately and pay $300 for each one. The processing time is 4-6 weeks, but you can check your application’s status online anytime. If you are a carrier and work in interstate commerce, you will need a DOT number to operate and need to apply for it separately with an MCS-150 form. Bear in mind that once you’ve obtained your DOT registration, you must file a biennial update by submitting an MCS-150 form online. Fortunately, this process is free. You’re required to provide this update even if your company has not changed its information, has ceased interstate operations, or is no longer in business. Having insurance is a must before you begin brokering. This can be a bit difficult at first as you’re just getting started and may not have all of the specific information an insurer will want to know about your business. But that’s only a small issue at the start. Once you get going, you shouldn’t have any problems. 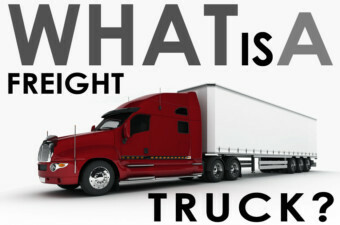 Having obtained insurance, you’ll have to submit proof to the FMCSA. Keep in mind that you can bundle your insurance with your surety bond. This saves both time and money by simplifying the whole process, particularly when you’re working with a company that provides both and is eager to help you open for business. The role of the processing agent is to be the person who can be served papers if a claim is filed against your brokerage in that state. 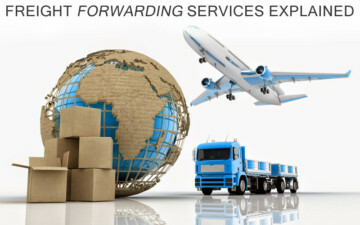 There are many commercial firms who will provide processing agents for a fee. The FMCSA has a useful list of such firms. There’s a federal legal requirement for all freight brokers to have $75,000 available to cover possible claims. You have two options to do this: you can either obtain a BMC-84 surety bond, or get a BMC-85 trust fund. Then, the trust or bond agency will file it electronically with the FMCSA to prove you’ve fulfilled the requirement. A BMC-84 surety bond is a type of insurance for your customers that protects them in the event you fail to fulfill your obligations as a freight broker. It is not designed to protect you from liability; this is provided by your liability insurance coverage. The surety bond is in place to assure federal regulations will be followed and that carriers will be paid in a timely manner. If this is not the case, the bond company will step in to ensure the customer suffers no losses. This guarantee on your behalf is considered a form of credit to you, for which you pay a percentage of the bond amount. It’s important to understand that when you purchase a surety bond, you will sign a legal agreement indemnifying the bond company and will be required to repay the full amount of all valid claims. Surety bonds are useful when claims against you are filed, but of course, the best thing to do is avoid those claims in the first place. Even having a claim filed can make it much more difficult to obtain a surety bond in the future, possibly putting you out of business. So it’s essential to closely follow FMCSA regulations, make your payments on time, and resolve conflicts before they reach the claims stage. To make sure you do everything correctly, it’s best to have a bonding agency which is also an MGU (Managing General Underwriter), meaning they make the underwriting decision and act as your advocate in the claims process. An MGU can also help educate you in how to avoid claims in the first place. A bonding provider will evaluate your company based on your credit and charge you an annual premium, which is a percentage of the $75,000 bond amount required by the MAP-21 law. With JW Surety, the largest provider of surety bonds in the country, this percentage usually amounts to between $900-$2000 a year. This type of bond is often referred to as a BMC-84 after the name of the document you file with the FMCSA. With a trust fund, you place the full amount of $75,000 into a trust, which you will be unable to touch. You’ll also have to pay a bank fee for this service. This choice is more common amongst larger brokers and carriers, but for anyone getting started isn’t a very good option because of the large upfront cost. Also, many trust companies advertise that freight brokers can fund their trust with cash, an Irrevocable Letter Of Credit (ILOC), or pay the trust company to obtain an ILOC on their behalf. But it’s important to note that anyone considering purchasing a trust fund needs to verify that the trust fund company is not under-funded. Bad credit is one of the most common worries for people who need to get bonded. In such cases a surety bond is the better option because getting a loan for the full $75,000 is going to be difficult with credit problems. But even if you choose to go the BMC-84 route, keep in mind that not all agencies are able to provide bonds to applicants with bad credit. It’s important to choose a big bonding agency which works with a large number of bond providers. 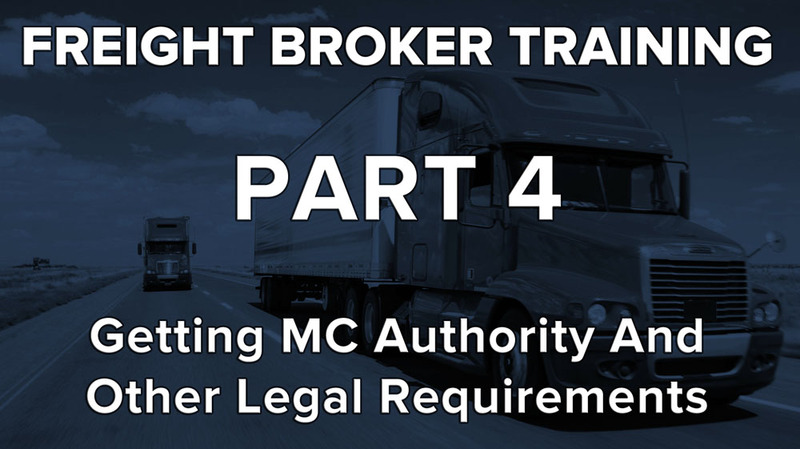 By communicating with many different sureties, the agency will be more likely to find a reasonable rate for your freight broker bond in spite of your low credit score. Of course, bad credit will increase the cost of your bond, but the most vital thing is that you’ll still be able to get bonded and open your business. In the meantime, there’s a lot you can also do to improve your credit. Paying your bills on time, avoiding reaching limits on your lines of credit, only applying for new lines of credit when you need them, and paying debt instead of moving it can all make a big difference over time. Once you apply to renew your bond, your improved credit score will be taken into account and your bond cost will decrease accordingly. You can also feel good knowing that a surety bond doesn’t affect your credit standing. Many still incorrectly believe that group trusts or group bonds are valid ways to fulfill the FMCSA’s bonding requirements. However, these options were removed by the MAP-21 law and no longer fulfill the requirement. Unfortunately, some agencies are still attempting to sell these trusts or bonds in spite of this. These illegal tactics often go under the radar until caught by an FMCSA audit. When this has happened it has put brokers out of business. The final step in the legal process is obtaining your Unified Carrier Registration (UCR). For freight brokers, it’s relatively simple and inexpensive at only $76. If you’re also a motor carrier, then your registration cost will vary depending on the size of your fleet. In either case you’ll need to re-register and pay the fee annually.